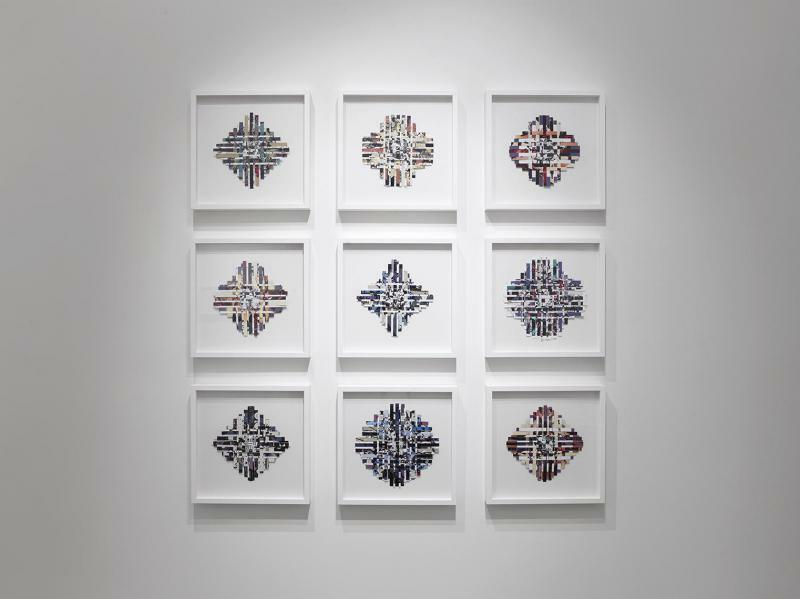 HOUSTON, TX, 1/20/14 - THE MISSION | Houston is pleased to present Remnants of Yesterday/Fragments of Tomorrow, an exhibition of recent works by Houston-based artist Curtis Gannon. 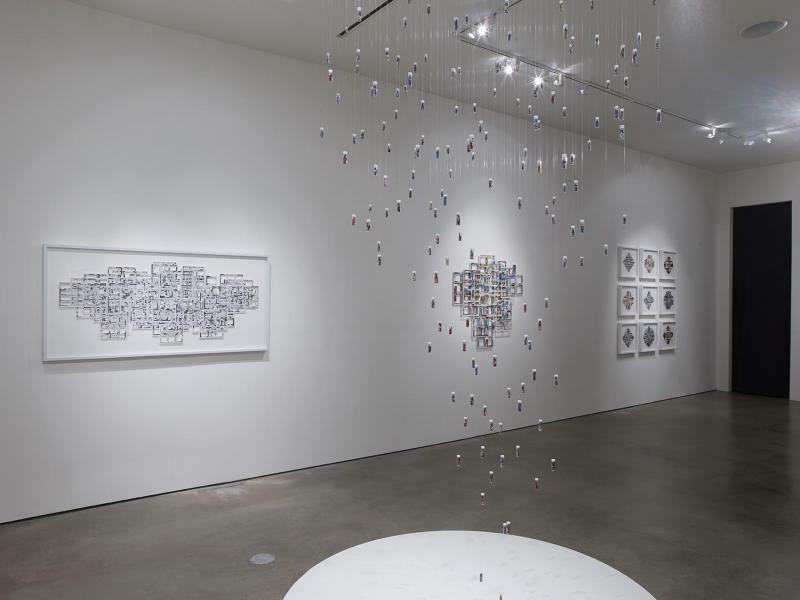 Using American action comics as source material, Gannon creates collages, sculptures and installations that reference the Pop language of the medium and its influence as a universal form of visual communication. An opening reception will be held on Thursday, February 13th from 6:30-8:30pm. The show continues through Saturday, March 29, 2014. In his first exhibition with THE MISSION, Gannon presents a series of works that explore the formal and structural elements of comics, as well as the role of the sequential format in the organization of time and space. The works incorporate a dense layering of deconstructed panels that the artist reassembles into subject-less grids and weavings. 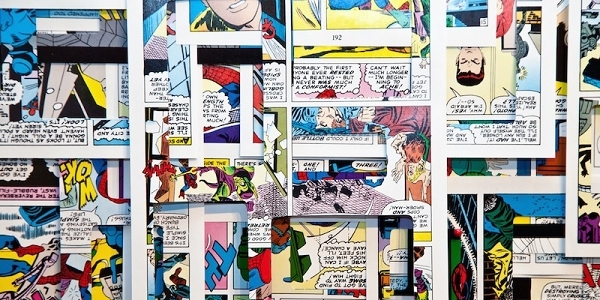 The resulting constructions comment on the fragmented, serial nature of comic books and reveal glimpses of what might have been contained within each panel. Suggesting a visual narrative, Gannon invites the viewer to engage with the works by requiring them to fill in absent details. 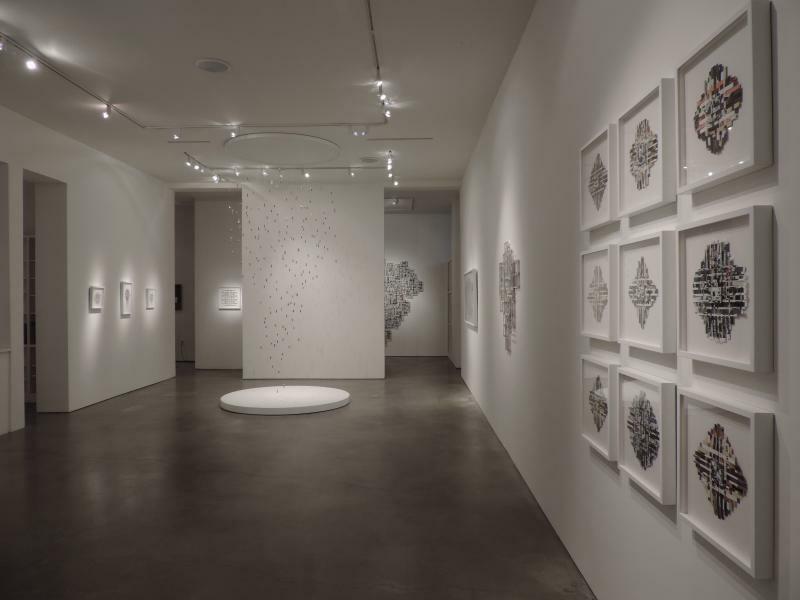 The centerpiece of the exhibition is a new installation based on Copernican heliocentrism, an astronomical model that positions the Sun at the center of the Universe. 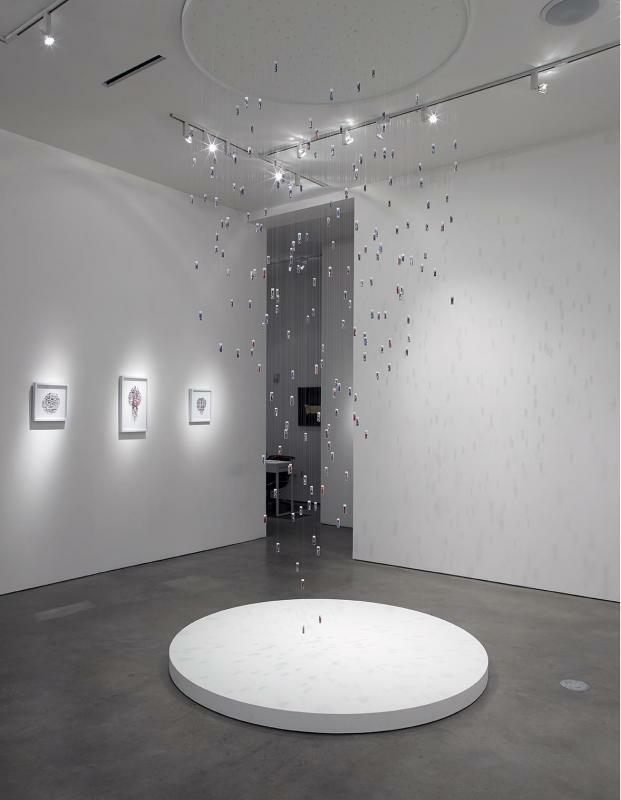 Consisting of suspended, loosely scattered miniature bottles, the installation is a manifestation of what the artist coins a “controlled randomness” and represents the fantastical idea of DC and Marvel universes, the fictional realms of two rival comic book companies. Curtis Gannon (b. 1974) completed his undergraduate studies at the University of Houston, and then received an MFA in Painting at San Diego State University. Gannon’s works have recently been exhibited at Blaffer Gallery, Museum of Fine Arts Houston, Williams Tower, and Lawndale Art Center. Gannon was born in London, Ontario, Canada. He lives and works in League City, TX. Remnants of Yesterday/Fragments of Tomorrow opens at THE MISSION | Houston on Thursday, February 13 and continues through Saturday, March 29, 2014. For more information, please contact Sarah Busch at sarahb@themissionprojects.com or 713-874-1182.